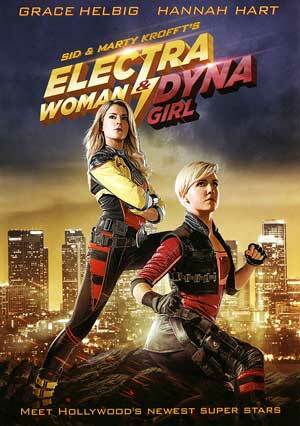 Based on a 1970s TV series, Electra Woman & Dyna Girl is an enjoyable little superhero spoofish film with passable performances with two leads in Grace Helbig and Hannah Hart share some fun chemistry with one another. The DVD release offers solid video, so-so audio and a decent enough selection of special features. 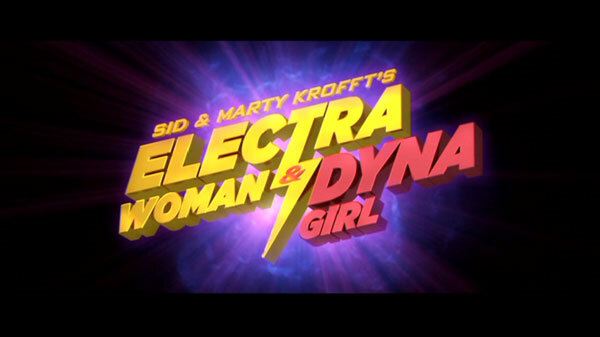 Electra Woman & Dyna Girl puts a fresh new twist on Sid and Marty Krofft’s cult classic ‘70s TV series. Starring YouTubers Grace Helbig (Electra Woman) and Hannah Hart (Dyna Girl), the crime-fighting duo takes their super personas and crime-fighting chops up a notch when they move from small-town Ohio to girls and glamour of Los Angeles. Making of Electra Woman & Dyna Girl (5:16) is a basic behind-the-scenes featurette with interviews by the cast and crew. Inside Creative Mask Management (3:13) is a mock commercial for the firm. Electra Car for Sale (1:49) is an advertisement for the supergals’ junker. Making the Movie Poster (2:35) – This is a BTS featurette on shooting for the poster and other promo shots. We also get a couple odds and ends: CMM: The Superhero Agency (0:33); Dan Dixon: CMM Super Agent (0:21); Megaline: The Source for Celebrity News (0:28); Everybody Loves Plant Man (0:27); and There’s No Sidekick Here (0:20). Rounding things out is some footage of Grace and Hannah at San Diego Comic Con (12:27). Electra Woman & Dyna Girl is presented with an anamorphic 2.40 widescreen aspect ratio and colors tend to be bright throughout while the Dolby Digital 5.1 track is pretty standard with clear dialogue but everything else is limited. Overall, based on a 1970s TV series, Electra Woman & Dyna Girl is an enjoyable little superhero spoofish film with passable performances with two leads in Grace Helbig and Hannah Hart share some fun chemistry with one another. The DVD release offers solid video, so-so audio and a decent enough selection of special features.